It’s enough to make a person feel a bit off her rocker. Trust me, I know. That was my life for almost two decades and it’s a life about one out of every 10 women can relate to. Many of those women have no word to explain the chronic pelvic pain that hits and twists like a dagger, extreme fatigue, infertility, and a host of other symptoms that define endometriosis. For those who are thinking, “Endo what?” Endometriosis is a disease in which the tissue that’s supposed to line a woman’s uterus starts growing outside of it. In addition to what I mentioned above, it leads to cysts, inflammation, scarring and adhesions. Wretched stuff. March is Endometriosis Awareness Month, and although I held my symptoms as a secret shame for the majority of my life, I’m finally ready to talk about them. (This is a case of that whole life imitating art thing, but more on that soon). A month before my thirtieth birthday I got the answer: yes, that word does explain my condition, explains the reason my ovaries (which are supposed to be about the size of almonds) were stretched almost to the size of peaches, explains my (now justified) rage when just months before the diagnosis, yet another doctor suggested I may be exaggerating my symptoms. I never want another woman to hear that. Never want another girl to think she’s weak or not up for the life of being a woman. If you suspect something’s not right, push for answers. If you don’t, endometriosis could be invisibly wreaking havoc on your body. Havoc that, to a degree, could have been prevented. Let’s take a quick journey through the nineteen years I didn’t know the cause of my pain. As a young teenager, cramps sometimes left me writhing in the fetal position—sweating, moaning, feeling like my body was trying to tear itself apart. I was told this was normal, if Advil didn’t work, Midol should. It didn’t, so I learned to be silent. No one likes a drama queen. Now fast track to my early 20s. That pain I was told was normal became more and more debilitating. It dropped me to the floor, unconscious, five times. Don’t get me wrong, this concerned the medical professionals. They ran CAT scans, MRIs, blood tests, and cardiograms. I saw two different neurologists. My license was taken away while they tried to find answers … answers to the reason I was passing out, not answers to the pain that was leading to it. Not one doctor questioned the fact that my period pain, pain that was supposed to be entirely normal, was causing me to faint. I didn’t question it either—I should have, the women around me weren’t collapsing every few months. But when you’re told something long enough, you tend to believe it. I’d been actively trying to get pregnant for about a year and a half: no luck. And that’s what prompted answers. Answers I was glad for, but answers that only brought more questions. Receiving my diagnosis was a double-edged sword. (Pardon the pun to all those endo warriors out there). Wonderful, because it meant I wasn’t just a weak woman. Horrible, because there’s no cure for this disease and all of those years of feeling broken were, in a sense, true. I wasn’t broken, but a part of my body certainly was, and not only would that mean years more of living with horrible pain, it would mean I may never get to be a mother—one of the most precious desires of my heart. I felt alone. My doctors only talked about this disease in terms of fertility (again, without any real answers), and didn’t address the years of pain I’d endured or will continue to endure. More than ever before, I felt like I was this disease and I didn’t know what to do with that. So I did what any self-respecting author would do when she feels her world crumbling around her. I turned to the written word. Only this time, instead of hauling out my journal (because honestly, I didn’t even feel strong enough to do that), I decided to try to excise my pain and confusion by thrusting it onto one of my characters. It’s cruel I know, to cast this disease on an unsuspecting character, but writers are known for their cruelty (I’ve killed off more than one character in my writing journey.) But for me, at least, that cruelty always has a purpose. As this character, Tracey Sampson, learned she has endometriosis, struggled to make sense of what that means for her life, her relationship, and her potential of ever being a mother, I was (almost unconsciously) able to dig deeper into what that meant for me, while looking at it with a creator’s and then an editor’s eye. Tracey’s story is in no way autobiographical, but just as my story, my pains, my fears may parallel any other woman out there with the disease, Tracey’s inner aches paralleled mine. As she worked through her insecurities, I changed and I grew. A year ago I was raw—I wouldn’t have shared any of this. I was going to release the books with my secret kept safe. Writing Tracey’s story wasn’t just for me, and it wasn’t just for the women suffering from this disease; it’s a way for any reader to learn about this ‘invisible illness’ in an accessible way. 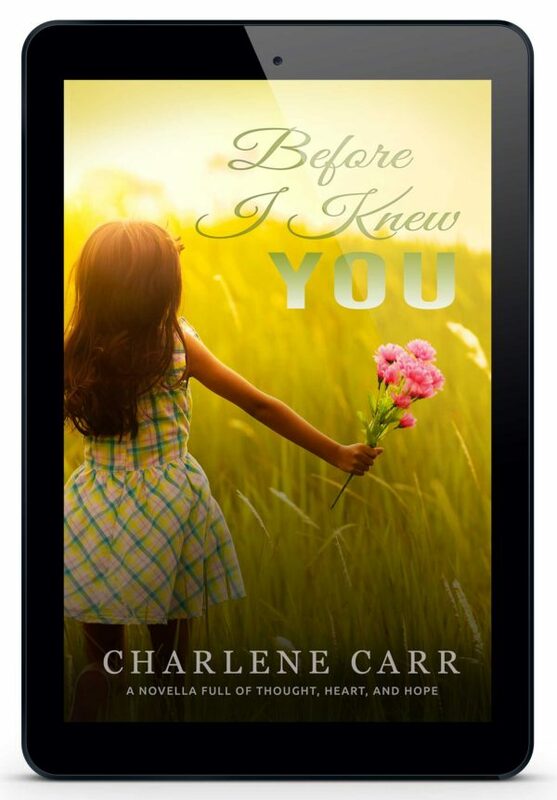 The first book in Tracey’s story is Forever In My Heart. I’m releasing I released the second, Whispers of Hope, to coincide with Worldwide Endometriosis Awareness Week in the hopes that it will help open people’s eyes to the very real pain many women suffer and, hopefully, reassure women living with symptoms of the disease that their pain is not in their head, and they need to press to find answers. My life imitating my art wasn’t a conscious thing. It happened slowly. And shortly after I finished the final of half a dozen rewrites, I realized I was transformed from a woman scared and hopeless, to a woman empowered. This post has been meant for everyone, but these final lines are to my endosisters—those who know you have the disease and those who wonder. You are not alone, you are not your disease, and your story is powerful. Share it. Also, feel free to share your comments or stories in the comment section below! I’d love to hear from you, and I’m sure others would too. Thanks for sharing your story. All those years and years of pain and surgery and pain and surgery, I wish that I knew and understood what you know and understand now, but I am so, so sorry that you have to live through all of this. You are an amazing person and an amazing author to have the courage to not only write Tracey’s story with such empathy and talent to the point of bringing tears to our eyes over and over again, but to then share your own personal story to us,as well. Keep writing and sharing life – the world needs authors who bring us some reality and who pushes us to care for others. Wishing you happiness and success in all that you do! Thank you for sharing this deeply personal and emotionally vulnerable story! I do not personally struggle with the pain and other effects of endometriosis but know multiple women who do. Kudos to you for writing two amazing, touching stories about women who so many of us see some of ourselves in. Writing Tracey’s story was such a powerful experience for me – I hope reading it is a powerful experience for other women as well. P.S. I love your name! I’ve never heard it before. Charlene, I admire your courage to be able to write about your diagnosis. I wish more women were able to do that, maybe if enough of us band together we can finally eliminate the infertility stigma and all the secret shame we carry. We all have ovaries and uteruses, why not talk about them? I don’t have endometriosis, I have pcos, diagnosed 10 years ago. I was lucky enough that a doctor took me seriously in my young 20s when I said something was wrong, but I know not everyone is lucky and a lot of doctors blow them off. But now my husband and I have been trying for a baby for 4 years, it is absolutely heartbreaking. I look forward to reading Whispers of Hope. I hope Tracey and I both eventually get our happy endings, whatever they may look like. I fully agree. I was so embarrassed (not sure if that’s the right word, it was a combination of things – fear, vulnerability, nervous) to talk about my infertility. When well-meaning people ask when we’re going to start a family or joke that we better get trying, it’s hard to know what to say. But, as you mention, it’s important to say something if we want to eliminate the stigma. And I’m so sorry to hear about your struggle. The last time I saw my doctor he told me he’s fairly certain I have PCOS as well but he can’t conclusively diagnose it because the endo cysts prevent that. So I’m just starting to learn about that disease. I truly hope you get your happy ending, or happy beginning! 4 years. That is heartbreaking. I feel for your pain.